Written by Zycom on February 8, 2019 . Posted in Blog. 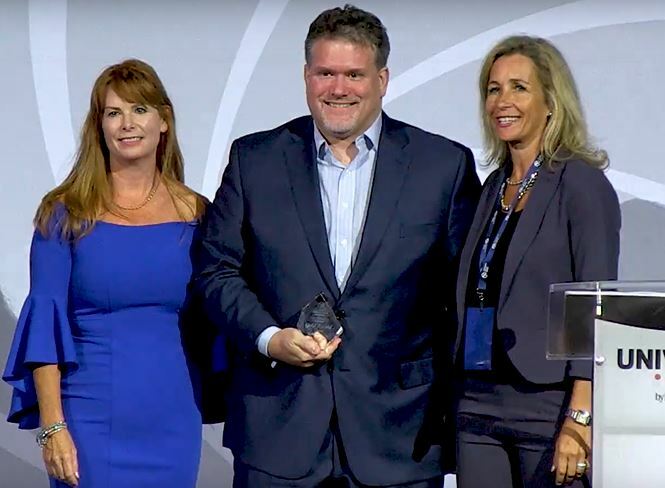 Zycom showed up in full force to the inaugural CDN Channel Innovation Awards on September 19, 2018! The innovation awards turned out to be a great night and recognized some of the most innovative solutions across Canada. Zycom is excited to announce that we were recognized for a pair of awards commending our top projects of 2017. 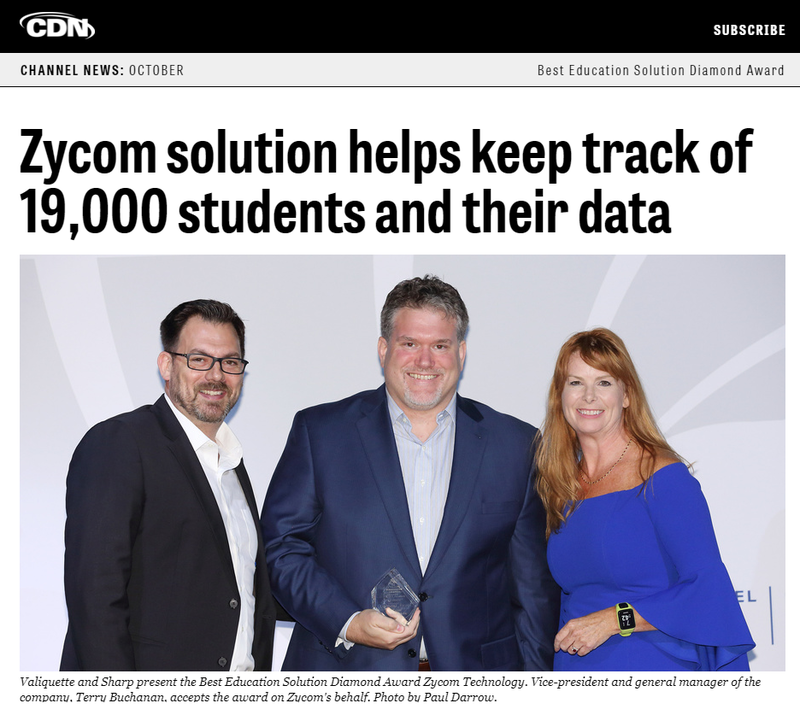 Our unique solutions ended up landing Zycom both a Diamond and Gold Award. This award honors the solution provider with the most innovative education solution for the year. Zycom was tasked with creating a cloud strategy for the Limestone District School Board in Kingston, specifically to update its student information system (SIS). Overall the SIS lacked the data and disaster recovery capabilities that a system tracking 19,000 students should always have. The switch to a cloud-based solution, which houses the data of all students, reduced the school boards IT costs by 70% or roughly $70,000 per year. This award recognizes the most innovative and problem-solving hardware, networking, mobile, cloud, big data or software-defined solution for a federal, provincial or municipal government, or crown agency. The City of Greater Sudbury along with Nutanix and Zycom, came up with a way to deploy a 3node Dell XC Nutanix solution in an innovative way via a stretch cluster, due to the low latency of fibre links and the SCADA applications very low network traffic requirements. That solution would see a node at each of 3 plants being connected via fibre with the SCADA application, virtualized and now resilient between plants (i.e., replicated VMs with Nutanix software). Resulting in a viable and secure solution that can be easily backed up and eliminating downtime and dispatch. This means that should the CGS lose connectivity to a SCADA server that has remote wells and treatment centers reporting to it, the lost server instance will migrate to an alternate node at one of the other primary sites. Thus, the City’s networking and routing capabilities allow the affected remote reporting sites to continue to be monitored, and SCADA operational visibility is maintained for all outside wells and lift stations. In Addition to applying of a software-defined solution to solve a monitoring uptime requirement for SCADA, the same technology was applied to a technology refresh of tier-3 infrastructure resulting in the IT Department at the City of Sudbury being able to save and return $600,000 in capital funding back to the municipal government. Read more about these solutions via our case study here. The event was a great experience overall; nights like this are exactly what gives us the confidence to continue to innovate and disrupt the industry. Read the official press release of the event.